Pictures owned by and article courtesy of Sam. 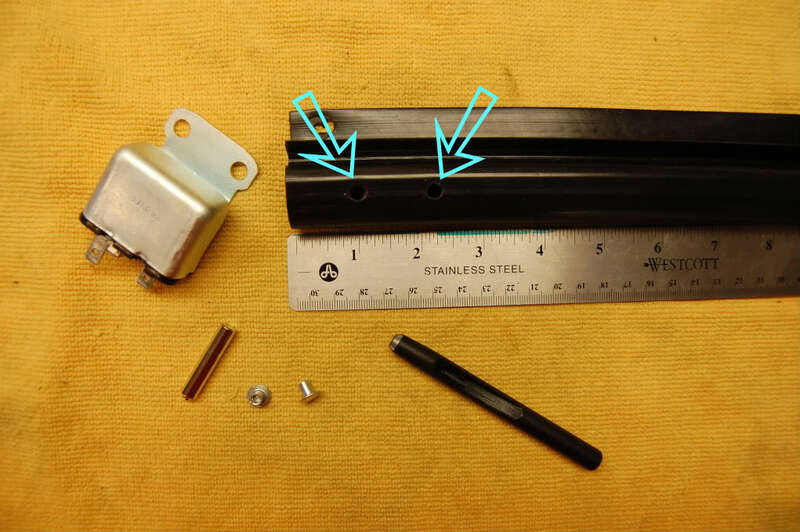 Got Greg's rivets, washers, and tool the other day and I installed them according to provided instructions onto my "new" gutter that M22 Mike (Angelo) provided . 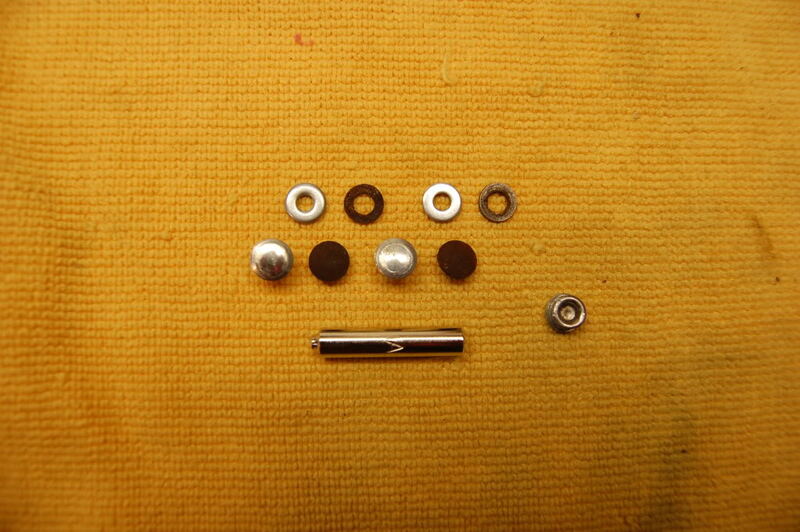 The only deviation I made was I found thinner washers which matched my originals that I took off of the Deuce. 1st photo shows Greg's rivet tool, rivets, and washers along with my original rivets and washers and also Greg provided a this-is-what-it-should-look-like-after-you-install-it rivet which was a nice touch. Greg's washers, as well as the substitutes I used, had to be drilled out to fit the new rivets and match the opening diameter of the originals. I am impressed with this kit and would recommend it. Well done Greg! I slightly splayed the opening of the rivet with a punch to get it started as per Greg's instructions. I then placed a tool handle behind the rivet (inside the gutter) to provide a solid surface to hammer the rivet tool against. The rivets formed just as they should and it was really pretty easy. ...and back in the car. 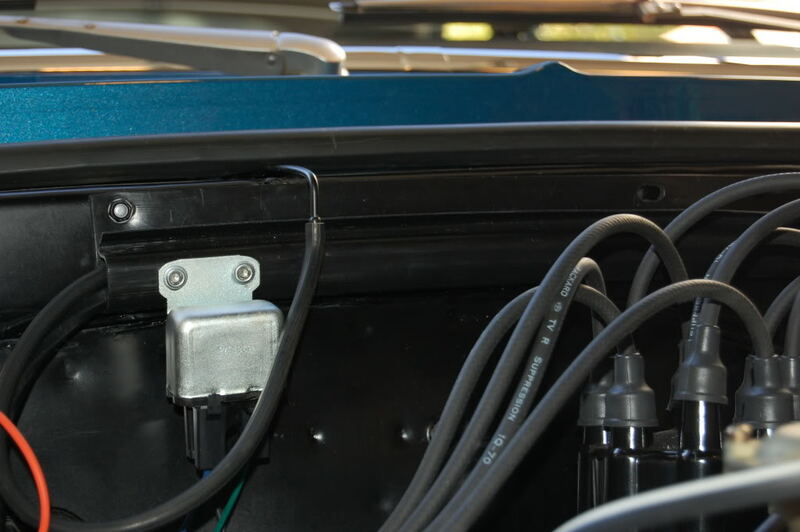 Nova Research Project now has Correct TCS Relay Rivets and Clips/Plugs. Available in limited quantities, the correct shape and finish TCS Relay Rivets. 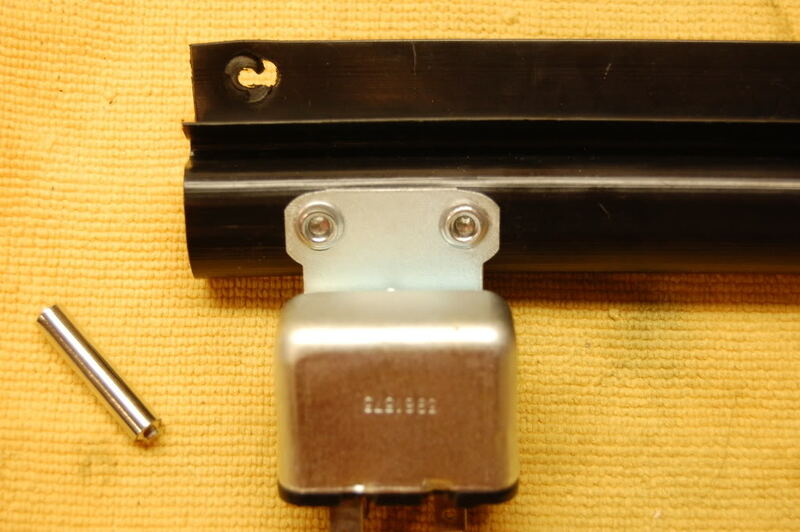 Use these original style rivets to attach the TCS relay to a new or existing wiring gutter. 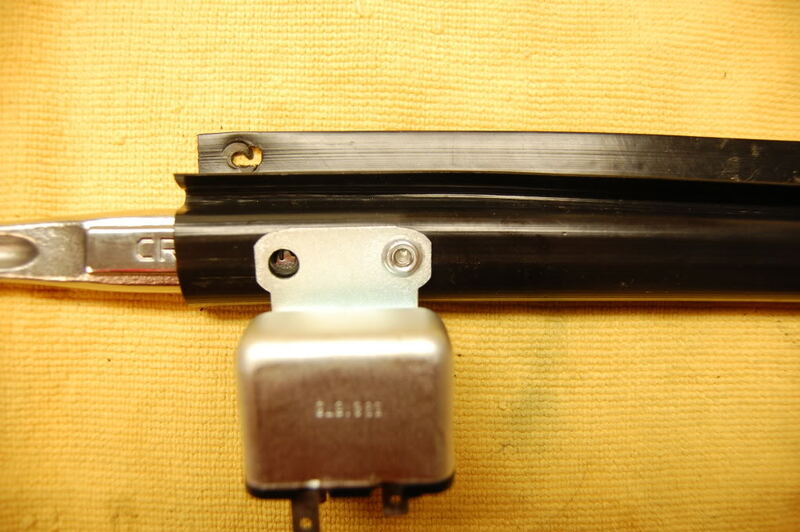 Also available are the near correct (they are a tad bit longer) plastic clips /plugs used early in the 1970 Model year. Send an PM on the Supercar & musclecar Bulletin Board and ask for details.